Farquhar and Black Insurance Agency, one of the oldest insurance agencies in America, has been providing Massachusetts Insurance for individuals and businesses since 1854. Our company has helped the residents of Massachusetts through the great fires: Boston in 1872, Lynn in 1889 and 1981, Salem in 1914 and the Danvers Chemical Fire in 2006. We have been here for you from the Great Molasses Flood of 1919, during the blizzard of 1978, to the Northeast Tornado outbreak of 2011. We were here for you yesterday, we’re here for you today, and we’ll be here for you tomorrow. Like any agency, we are only as successful as the companies we represent. Representing companies that are even older than us (Merrimack Mutual – 1828, Quincy Mutual – 1851 & Travelers Insurance – 1853) to businesses that were initially formed to meet the unique needs of the Massachusetts auto insurance consumer (Commerce – 1972 and Safety – 1979) we have the insurance markets that will provide you homeowners insurance and car insurance at the lowest price possible. For your business insurance, in addition to those fine Massachusetts-centric companies, we represent national carriers such as Travelers, US Assure (Zurich), Foremost, AmTrust, USLI, Philadelphia, and Markel. Additionally, through our long-standing business relationships, we have access to virtually any company in the world including CNA, Lloyds, QBE, Scottsdale and many, many others. We have the knowledge and experience to know which company is best suited to your unique insurance needs. 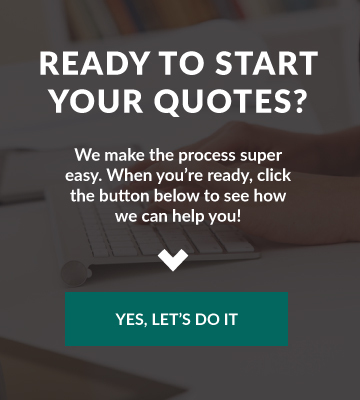 We will work with you to tailor a Massachusetts insurance program that provides you real peace of mind. With well over 125 years of combined insurance experience, the professionals at Farquhar and Black Insurance Agency are well situated to provide you with the answers you need. 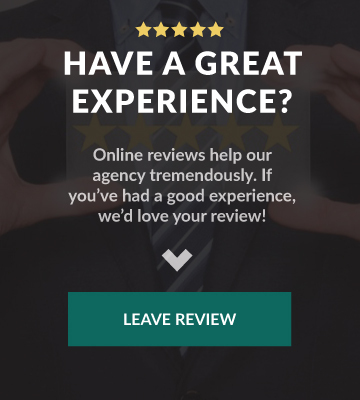 As Independent Agents, we are in the unique position of being able to find the company that’s right for you. We are also a Trusted Choice Agency. As a Trusted Choice Agency, we are dedicated to you and are committed to treating you as a person, not a policy. Our breadth and depth of experience and knowledge enable us to tailor an insurance program that fits your needs. Our staff is always here for you to answer your questions and provide you with the information that you need to make smart choices regarding your protection program. We invite you to look at our complete portfolio of insurance products and services, which includes personal insurance: auto, homeowners, renters and condo coverages in addition to plans that protect your boat, RV, motorcycle, and mobile home. For your car insurance, we provide free registry service, concierge claim service and all sorts of discounts including safe drive discounts, multi-car discounts, multi-policy discounts and much more. For your home, condominium and tenants insurance, we work with you to make sure that you are insured for the proper amount. We can offer guaranteed replacement cost, credits for various policies, and many discounts. For businesses, Farquhar and Black Insurance Agency can provide you with a comprehensive Massachusetts insurance program that will protect your property, assets, management, and employees. We have the Massachusetts insurance markets that will provide your company with a comprehensive business insurance program at very competitive rates. We have been protecting businesses, both large and small, in Massachusetts for over 160 years and we want to protect yours. Give us a call today to discuss your particular needs and how we can serve you. We are very proud to be such an integral part of the communities we serve throughout the Commonwealth, including Marblehead, Peabody, Swampscott, and Lynn, MA.